Mene did several sculptures of hunting dogs and this Pointer sitting beside a dead Hare is an excellent example of his work. There is a larger more complex bronze showing this same Pointer sitting by a large tree stump with a rifle, game bag, and dead game birds and a hare leaning against the stump. 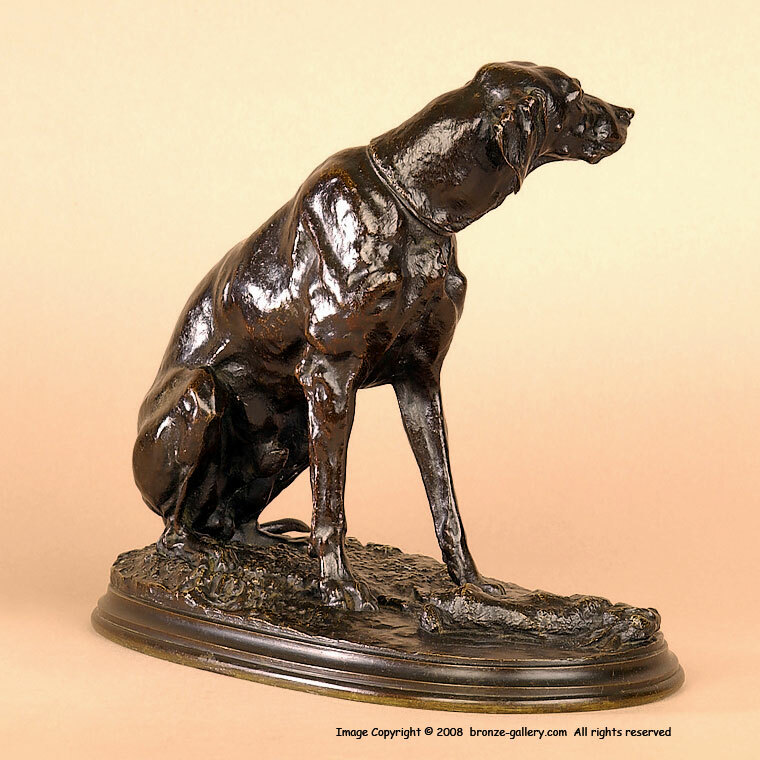 This composition is much simpler as it is just the dog with the hare at his feet on an oval base. 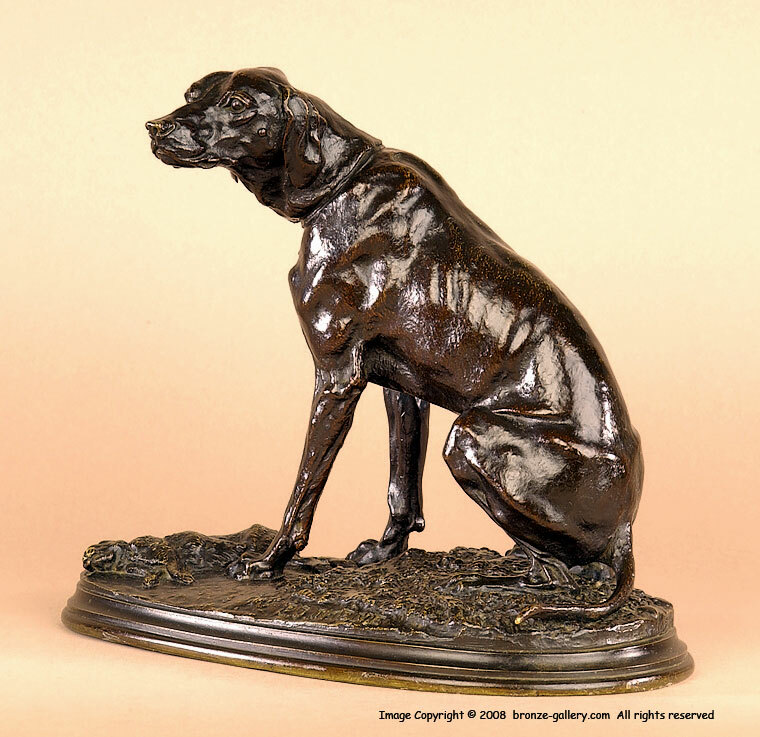 The bronze has a rich dark brown patina with sharp details, and it was cast by Mene's own foundry in the 1860s. A fine and rare Mene bronze.